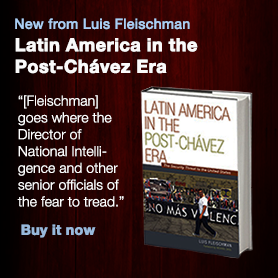 Something important is already happening in Latin America as a result of the crisis in Venezuela. Events in Ecuador show the regional effects of the crisis as a major political turmoil is challenging the regime built by former president Rafael Correa. Correa was a follower of Hugo Chavez and Nicolas Maduro and a key member of the Bolivarian Alliance (ALBA), a coalition of countries that promoted a sort of socialist revolutionary change in Latin America and geo-political alliances with U.S adversaries and enemies. In April 2017, Lenin Moreno, was elected president representing the Alianza Pais party, the party founded by Correa himself to carry its Ecuadorian version of the Bolivarian revolution called the “Citizens Revolution.” Mr. Moreno achieved a narrow victory against the opposition party led by Guillermo Lasso, a conservative banker. Correa, elected in 2007 served as president of Ecuador for 10 years. During that time, he increased control and subverted the courts at the expense of citizen’s rights, intimidated the business community including the American-oil giant Chevron, tormented the press and violated major freedoms. Likewise, major scandals of corruption were revealed which has made a national controller a fugitive. Likewise, a Cabinet Minister and manager of major state company are now in jail and the vice-president of the country has been removed from office. Lenin Moreno, although he served for six years as Correa’s vice-president, has sent different signals up to the point of coming in direct confrontation with his predecessor, now temporarily living in Belgium. Already during the electoral campaign, Mr. Moreno distanced himself from Correa. He indeed advocated national reconciliation in a society highly polarized by Correa’s rhetoric and actions. Likewise, as pointed out above, turmoil in Venezuela gave an indication as to where Ecuador was heading if Correa’s line of governance continued. So far Moreno’s words are encouraging, yet no major practical steps have taken yet. As a result, Moreno has been the object of criticism. Part of his problem is the fact that he is operating in a system planted by Correa that is not too easy to unravel. Moreno indeed has kept individuals associated with Correa in key government posts and appointed other Correa loyals. Yet, Moreno’s rhetoric already led his own party to expel him from its ranks. Such expulsion does not remove him from office as his mandate is independent from the party. However, what is curious about it is that the president was removed from a party, Alianza Pais, founded by Correa. Alianza Pais won the elections in 2007 with the support of the popular vote built around the charismatic figure of Rafael Correa against the corruption and unresponsive structure of the traditional parties. Now, it is Alianza Pais that has rebelled against a leader that fights the party line relying on the popular will. The party is trying to maintain and reinforce the undemocratic institutions built by Correa and resist change. Yet, there are some members of the party who support the line of Mr. Moreno. It is likely that the party may soon find itself in disarray. This is not necessarily a bad thing as the party is the problem. Mr. Moreno has an opportunity now to resort to a dialogue with opposition figures, with business as well as with representatives from various social and political sectors. Moreno has already shown flexibility on his proposal for tax reform after listening to various sectors. This is a very good sign and should be welcomed as a change in Ecuador’s political culture. However, Moreno will be confronting a very serious battle in the near future. Correa has returned to Ecuador to organize the opposition against Moreno and has not saved any words of criticism of Mr. Moreno. Correa is not only a problem for his people but for the region. As an example, Correa expelled the Drug Enforcement Administration (DEA) from the base of Manta and under his tenure Ecuador’s role as a transit for drug trafficking has increased. Likewise, under Correa the revolutionary Armed Forces of Colombia (FARC) increased their presence. Moreno has also condemned the repression of the Venezuelan regime and the existence of political prisoners in that country. by expressing solidarity with the Venezuelan people. Likewise, he removed the Ambassadors of Cuba and Venezuela. Correa embraced Chavez and Fidel Castro as mentors and role models. The shift of Mr. Moreno is clear. 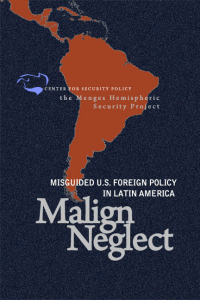 For the time being it deserves the support of the United States and the Organization of American States (OAS). The Trump Administration must pay attention to this country and support its president. Secretary of the OAS Luis Almagro, who also underwent a major transformation by siding with those who fight for freedom and democracy, needs to vocally stand by Moreno as well.